Our homes are getting smarter and connecting to the internet with security cameras, thermostats, smart speakers and smart TVs. 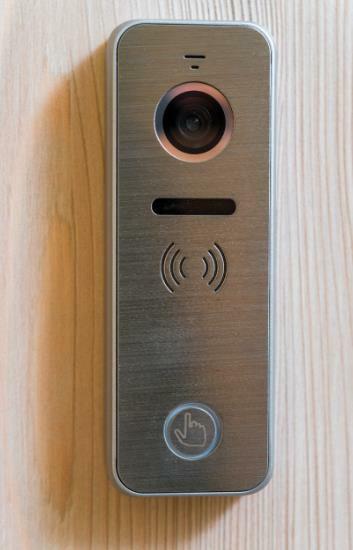 The video doorbell, seen in Figure 1, is another smart device gaining popularity, providing high-definition images and two-way audio communication so that homeowners can greet visitors from their smartphone. Video, activated by a motion sensor, records activities in the front and back yards, enhancing home security around the clock and through any weather conditions. While most video doorbells are hardwired, many consumers are seeking battery-powered video doorbells when the existing wiring or transformer is out of date or incompatible. A battery-powered video doorbell also provides convenience for renters who can’t (or shouldn’t) touch the wiring. Such doorbells are easily installed in flexible locations with no wiring needed. Another benefit is that battery-powered video doorbells keep working even during power failures. Deciding the battery configuration based on the operating temperature. Optimizing system solution cost with USB charging. Achieving a small form factor with integration. Acquiring an accurate percentage of remaining battery capacity. Figure 2: A typical battery charging system and the design considerations. Video doorbells need to operate under different weather conditions, so you need to consider the operating temperature of the battery when choosing between lead-acid, nickel-metal hydride or lithium-ion (Li-ion) chemistries and configurations. Due to multiple factors – including the need for a small form factor, the power required for the system and the frequency of recharging – Li-ion-based batteries still remain the best option in terms of power density and cost. However, the internal impedance of a Li-ion battery could increase dramatically under low-temperature conditions. A reduced battery terminal voltage (due to the internal impedance) could prevent the energy stored in the battery from powering up the system with the required current. A single-cell (1S) battery’s internal impedance increases quickly when the temperature approaches 0°C. In order to provide a system voltage at a wider temperature range, doubling the battery voltage by placing two batteries in series (2S) provides much more voltage headroom for the battery to discharge before reaching the minimum voltage to power the system. Whether you adopt a 1S or 2S battery configuration, you still need an adapter or cradle-type charging station to charge the battery. Traditionally, an adapter is a must have e accessory in a video doorbell package. It would be a significant advantage to charge the battery easily with USB power, which is easily available in most households. In order to achieve universal charging of 1S and 2S batteries with USB as the input, considering the battery charger topology and detection of the USB port current capability are two important technical challenges, respectively. First, the charger topology will differ. A 1S battery requires a step-down topology for 5 V to charge a 1S battery. A 2S battery requires a step-up boost topology from the 5-V USB to charge 2S batteries. Second, battery charging specification revision 1.2 (BC1.2) provides the standard and procedure to use the USB D+ and D- lines to detect USB port current capability. The section of input source type detection on TI’s BQ25882 data sheet gives an example of a battery charger following BC1.2 to detect input USB sources. With USB detection, the charger can take any USB port as the input to charge the battery, with maximum utilization of the input source. The size of a video doorbell cannot be much bigger than a traditional doorbell, and consumers also want several months of uninterrupted service time before recharging the battery. A capacity of around 15 Wh to 22 Wh is the current range. Some consumers complain online that their batteries need a charging time of eight or more hours; the goal is to get the battery fully charged in a more reasonable three to four hours. Maintaining good thermal condition of the battery pack provides a good customer experience. Integration and charging efficiency are also important considerations. Fully integrated chargers with all of the required metal-oxide semiconductor field-effect transistors (MOSFETs), current-sensing elements and protection functions can reduce bill-of-materials (BOM) cost. High efficiency is key to reducing the power loss to improve thermal conditions. First estimate how much power loss the doorbell or the battery pack can dissipate. Based on the loss budget, estimate the efficiency and check the efficiency curve to identify the right chargers for your application. After figuring out how to get the energy into the battery, it is very important to obtain an accurate representation of how much energy has already been placed into the battery. Thus, having an accurate gauging device becomes important so that consumers are aware that the battery needs charging. TI is a leading expert in battery gauging with its Impedance Track™ algorithm. TI’s charging, gauging and protection solutions for various applications include video doorbells. If you have more questions, see the technical information for the BQ25601D and BQ25895 fully integrated 1S chargers with USB detection or the BQ25882 2S battery boost charger with USB detection.